The fascinating story of the written word -- from how it all began to the age of the Internet. 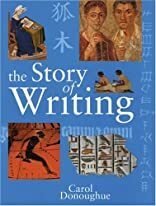 The Story of Writing is the compelling story of how writing was invented, how it developed over the centuries, how it has changed people's lives overtime -- and what it means to us now. The book features sections on: Why people write How writing began in different parts of the world How climate and available materials affected the forms of writing Who wrote, and why -- with quotations from ancient sources The spread of literacy The invention of the printing press and its effect on communication The emergence of the Internet, e-mail and text messaging. Valuable sidebars -- "Find Out More" and "You Are There" -- encourage the reader to explore new topics and engage the imagination with real-life descriptions of people and how they wrote. 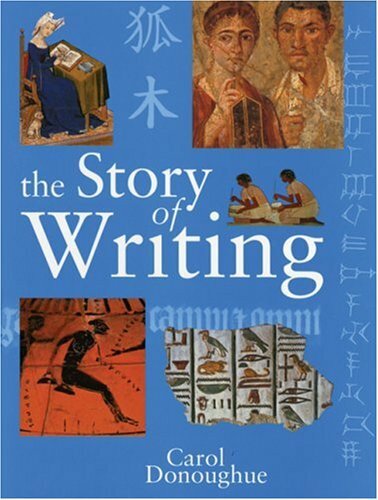 With more than 100 photographs of artifacts and documents from the collection of the British Museum, The Story of Writing is a fascinating history and a remarkable reference. About Carol Donoughue (Author) : Carol Donoughue is a published author of children's books. Some of the published credits of Carol Donoughue include The Story of Writing, Mystery of the Hieroglyphs.